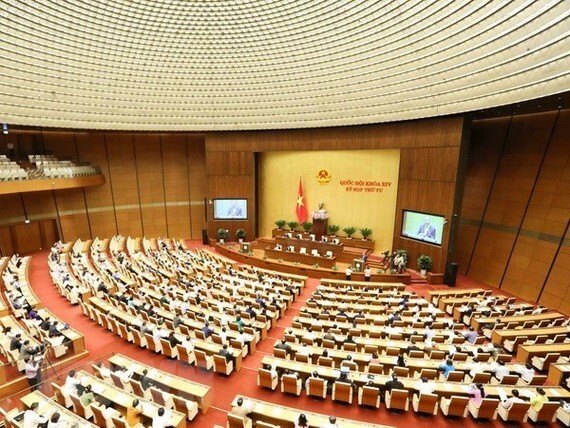 The fifth session of the National Assembly (14th tenure) opened in Hanoi at 9 am on May 21. 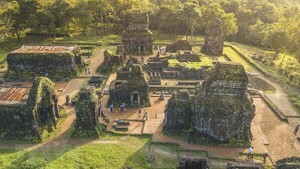 The opening is being broadcast live by the Vietnam Television and Radio The Voice of Vietnam. Prior to the opening ceremony, Party, State and NA leaders and deputies laid wreaths and paid respect to President Ho Chi Minh at his mausoleum. The NA will spend 60 percent of the session’s time to law making work. The legislature plans to consider and approve eight draft laws and one resolution. The draft laws to be passed are the Law on Denunciation (revised), Law on Special Administrative and Economic Units, Law on Measurement and Maps, Law on Competition (revised), Law on Cyber Security, Law on National Defence (revised), Law on amendments and supplements to several articles of the Law on Physical Activity and Sports, and Law on amendments and supplements to several articles of the Law on Planning. The NA is expected to adopt the resolution on the NA’s supervision programme and the establishment of a specialised supervision group in 2019. Eight other bills will also be tabled for discussion at this sitting, which are the Law on Corruption Prevention (revised), Law on the People’s Public Security Force, Law on Husbandry, Law on Cultivation, Law on amendments and supplements to several articles of the Law on Amnesty, Law on Marine Police, Law on amendments and supplements to several articles of the Law on Education, and Law on amendments and supplements to several articles of the Law on Higher Education. Besides law making, the NA will also devote time to supreme supervision of the implementation of policies and laws on management and use of State capital and asset at enterprises and equitisation of State-owned enterprises during 2011-2016. The NA will consider and make decisions on several important issues, including a report assessing the implementation of socio-economic development and State budget plans in 2017 and the first months of 2018, the ratification of 2016 State budget balance, and personnel work. During the fifth session, the legislative body will for the first time introduce a new regulation for question-&-answer activity. Accordingly, each NA deputy can have one minute to put question, and after three questions, the Cabinet member has three minutes to make the answer. The change is designed to increase dialogue and face-to-face debate. The fifth NA session is slated to conclude on June 15.